Cognac Jean Grosperrin is different from most other cognac houses. Rather than directly producing cognac, Cognac Jean Grosperrin is a merchant who buys barrels of cognac, ages them, and then releases them at an ideal proof (often at cask strength). Cognac Jean Gropserrin is unique in that it does not blend the cognacs they buy, instead they release them as single vintage, single region cognacs. Cognac Jean Grosperrin does not add any sugar, boise (wood essence) or color to their cognac. 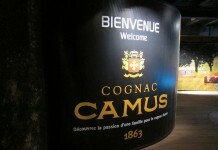 They are also one of the few cognac houses that does not chill filter their cognacs. Also unique about Cognac Jean Grosperrin is their focus on all the regions of cognac, and not just Petite and Grande Champagne. 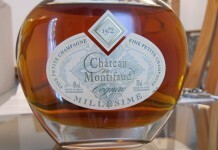 “Grand Champagne is good for old cognac, but it’s not the best all the way around. It can often be hard and dry before it’s 20 years old,” comments Guilhem Grosperrin, owner of Cognac Jean Grosperrin. Guilhem took over from his father, Jean Grosperrin, in 2003 after his father was diagnosed with Multiple Sclerosis and has carried the business forward to great prominence and success. 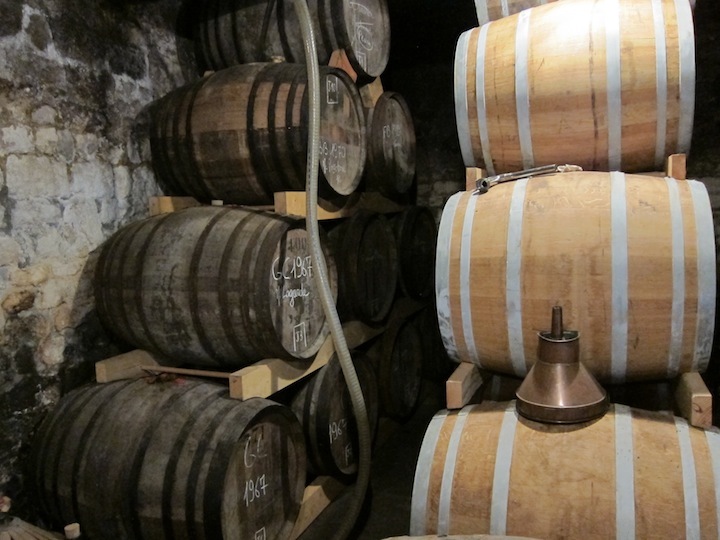 Many cognac houses do the bulk of their business outside of France, but Cognac Jean Grosperrin has found extremely strong traction in their own backyard and are one of the best selling single vintage cognacs in France. If you didn’t know Cognac Jean Grosperrin was there, you could easily miss it. It’s located in a small building in Chermignac. They’ve outgrown their space and are moving to a new location soon, but their current building is as packed as any celler I’ve ever seen. I made my way up a narrow staircase to a small office in the loft of the building, and Guilhem lined up bottles that range from 1990 all the way back to 1941. Nearly every cru (or growing region) is represented here from Grande Champagne to Bois Ordinaires. “You actually get more complexity from a single cognac than you get with a blend,” explains Guilhem Grosperrin, “but complexity and personality are not the same thing. You can make something pleasant and technically correct, but it can also be boring.” Guilhem travels throughout the region in search of cognacs which have both “complexity and personality” which are also vintageable. 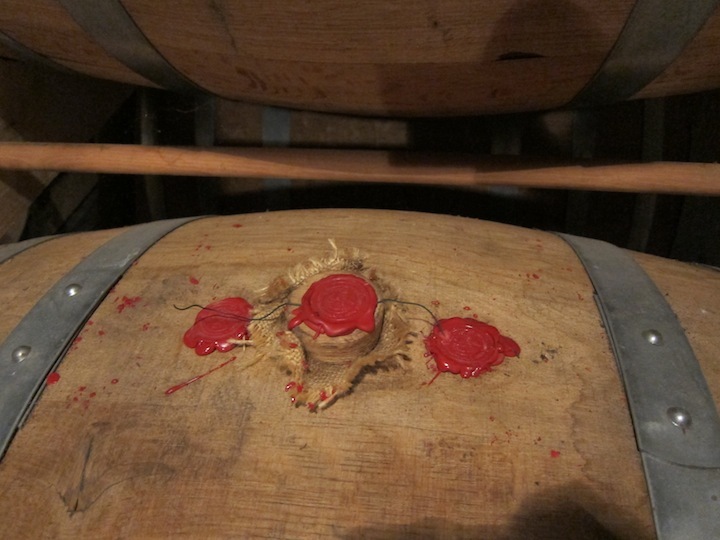 This is a fairly Herculean task as the rules for vintage cognac are extremely strict, and finding amazing casks of cognac that are also certified for their vintage is amazingly difficult. This 1962 Petite Champagne is exquisite, feminine and subtle, but with so much to offer. It’s the kind of entrancing spirit that you can spend hours with and never feel like you’ve quite explored it all. 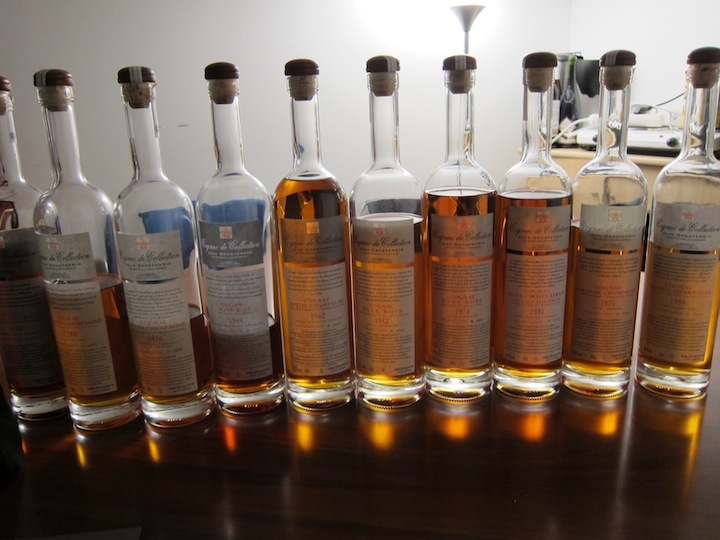 Perhaps the most devastating story behind a cognac is the one which accompanies one of the oldest cognac in the Cognac Jean Grosperrin collection, a pair of 1944 cognacs, one made from Grande Champagne and another from Bons Bois. They both come from a castle which was occupied in World War II by the German Army. This was the final cognac produced by the owner of the castle, who was executed in 1945 for collaborating with the Germans. After his death it was found that he was not collaborating, but was forced to allow them to use his castle under the threat of death. I had never tasted a Bons Bois this old before and it had an almost port-like quality to it, but still managed to deliver a fresh fruit note that was almost unfathomable. 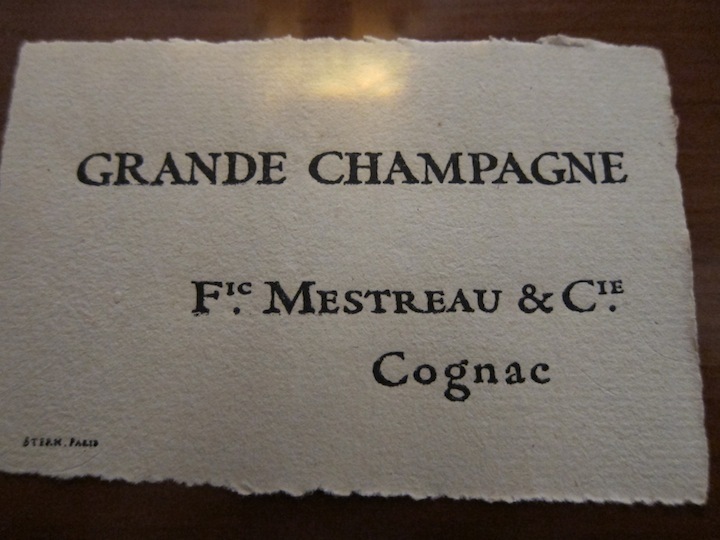 The 1944 Grande Champagne was intense, with deep tobacco notes, rancio, and a symphony of flavors. Just when I thought we were done, Guilhem disappears for a bit and returns with an old green glass bottle and pours me a sample. We taste and he pulls the label from a folder. It’s a cognac from 1820, stored in a museum for 70 years. Manufactured in 1820, this cognac came from a company that, like so many cognac houses, went bankrupt in 1919. For the most part, the market for cognac is an export market, and during World War I many of those markets were inaccessible. 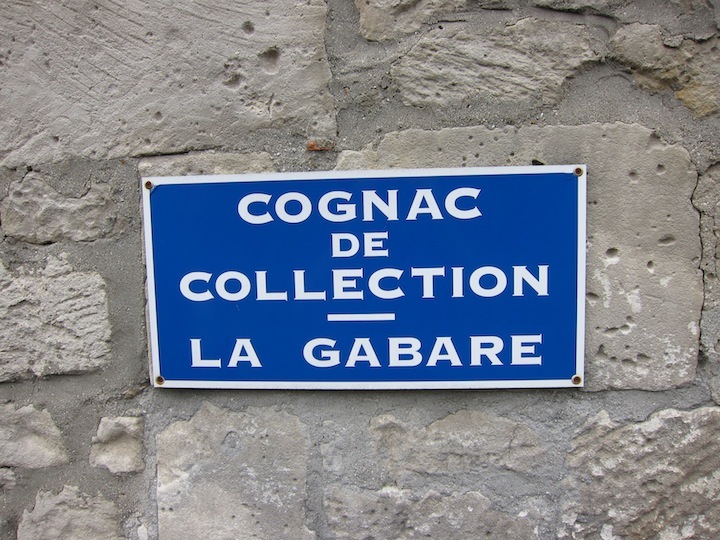 Then, in 1917, the Russian Revolution closed one of the biggest markets for cognac, causing many producers to go under. 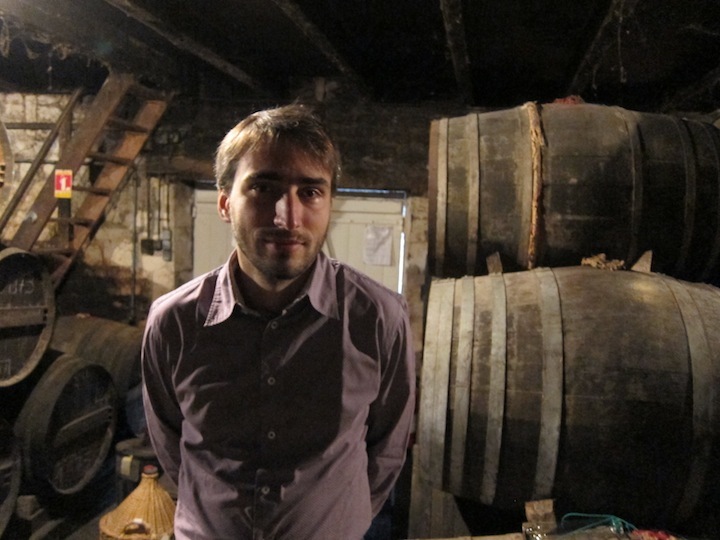 This bottle of cognac is priceless but Guilhem isn’t looking to sell it. Instead, he enjoys sharing a bit of cognac history with those who are as entranced with it as he is. The final bit of cognac history Guilhem produces from his folder is a price sheet from the late 1800’s for barrels of cognac. 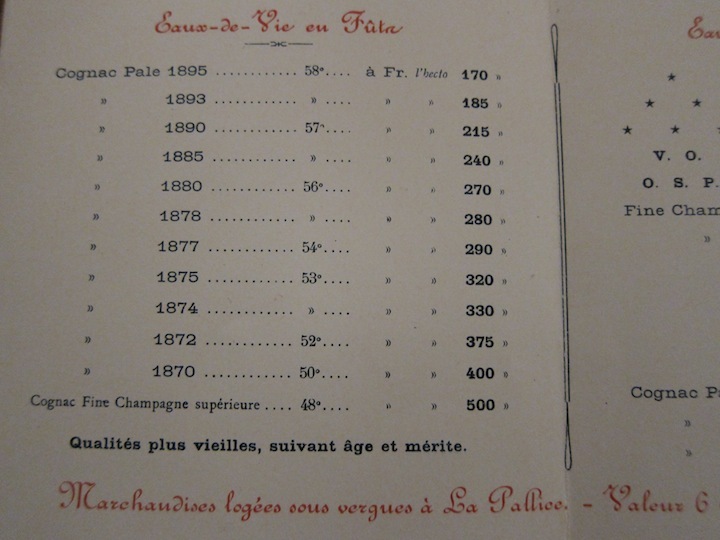 The sheet shows barrels of cognac sold at varying proof, a far cry from today’s cognac which is almost always sold at 40%. Cognac Jean Grosperrin quietly challenges the way we look at cognac. By releasing unblended, unsweetened, non chill filtered single vintage cognacs from all the regions of Cognac, they showcase the universe of possibilities beyond the typical blended cognac. 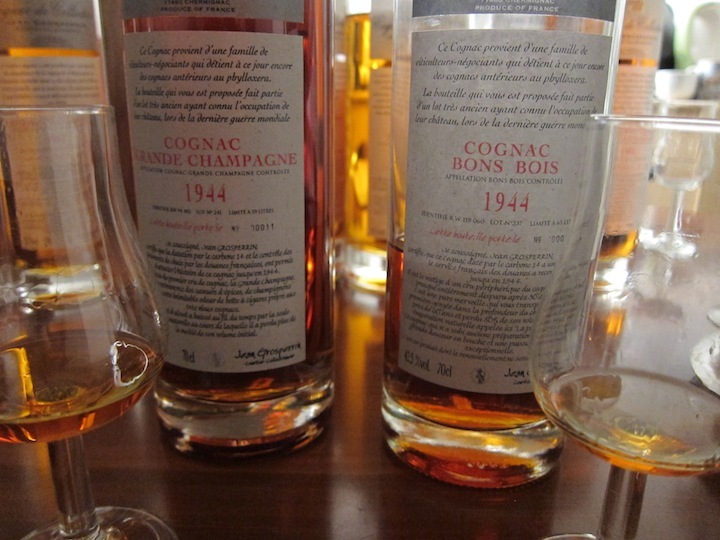 It was certainly one of the most impactual tastings I did in Cognac, with some of my favorite cognacs.